Mladá Boleslav, 29 November 2018 – ŠKODA AUTO is getting more and more involved in the high-tech hotspot Israel: the Czech car manufacturer has formed further partnerships with Israeli start-ups thanks to a strong local scouting presence. Some of the technologies developed are already being tested in a real deployment. 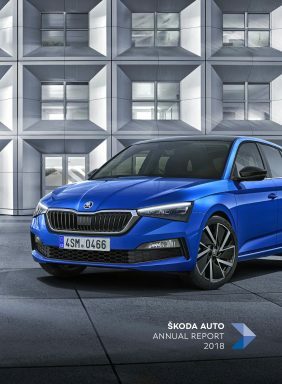 To mark the importance Israel has for future technologies within the brand, the world premiere of the all-new compact ŠKODA SCALA will be hosted in Tel Aviv. Chakratec’s charging technology for example is very exciting for ŠKODA customers, who may soon be driving an electric ŠKODA. Chakratec has developed an innovative kinetic energy storage technology, with unlimited high-power charge and discharge cycles. By Boosting and stabilizing the power grid, Chakratec is enabling the deployment of fast charging stations – practically anywhere, with no need to upgrade the infrastructure and by that reducing the economic risk of the fast charging stations roll-out. Since it is a mechanical and not a chemical battery, it is also totally green and environmentally friendly. In July 2018, ŠKODA acquired a stake in the start-up Anagog. Anagog processes data from more than 100 smartphone apps with up to 10 million monthly active users by using Artificial Intelligence (AI) and then works out mobility patterns. With the use of this technology, ŠKODA AUTO DigiLab wants to offer bespoke services such as recommendations for parking spots. In cooperation with Anagog, ŠKODA AUTO wants to provide best dealership experience and personalized insurance to its customers. Customers could also benefit from ŠKODA’s collaboration with UVeye. Vehicles can be easily and thoroughly scanned through its advanced technology, which uses a 360-degree camera to scan the body, undercarriage and tires for damage and anomalies, producing a high-resolution 3D image within seconds. UVeye has significant potential to ensure vehicle safety in the vehicle return process at dealers, maintenance, car rental or leasing companies and is soon to be operating in the Czech Republic. ŠKODA AUTO is also considering testing this technology on its production line to spot defects or anomalies before reaching consumers. UVeye’s technology will be demonstrated live the day following ŠKODA SCALA’s premiere. 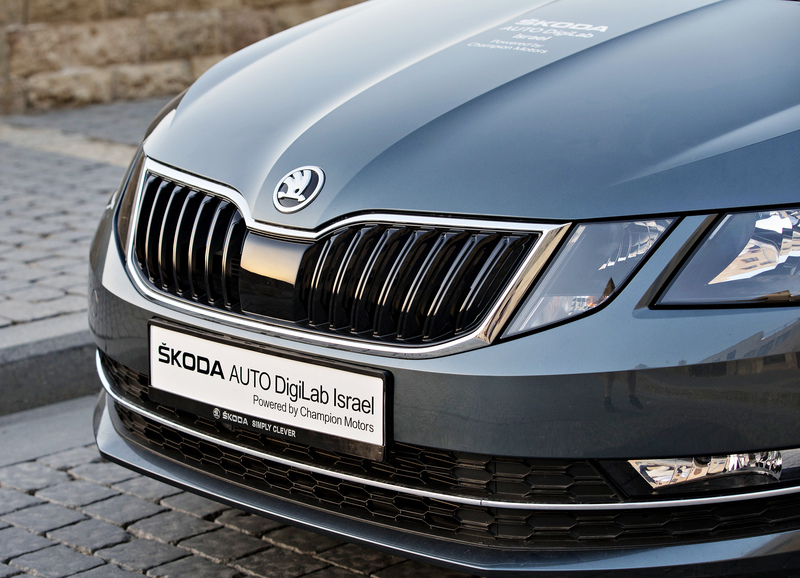 Tel Aviv-based ŠKODA AUTO DigiLab Israel Ltd., powered by ŠKODA´s Israeli importer Champion Motors, was founded in 2017 and is constantly on the lookout for further partners in the buzzing Mediterranean metropolis. The tech start-up hotspot is therefore very apt to host the world premiere of the ŠKODA SCALA on 6 December, as the new compact car takes connectivity and infotainment to a new level.